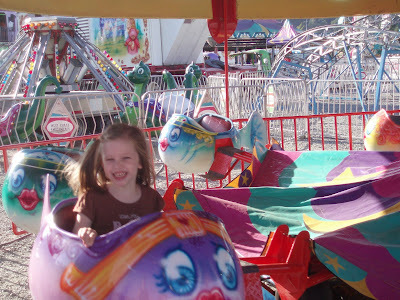 The fair was recently in town and I took the girls during the day for a few hours, went home for Meagan to nap, and then when Ryan was home, we all went in the evening for a few more hours. It was great, the girls had a great time. 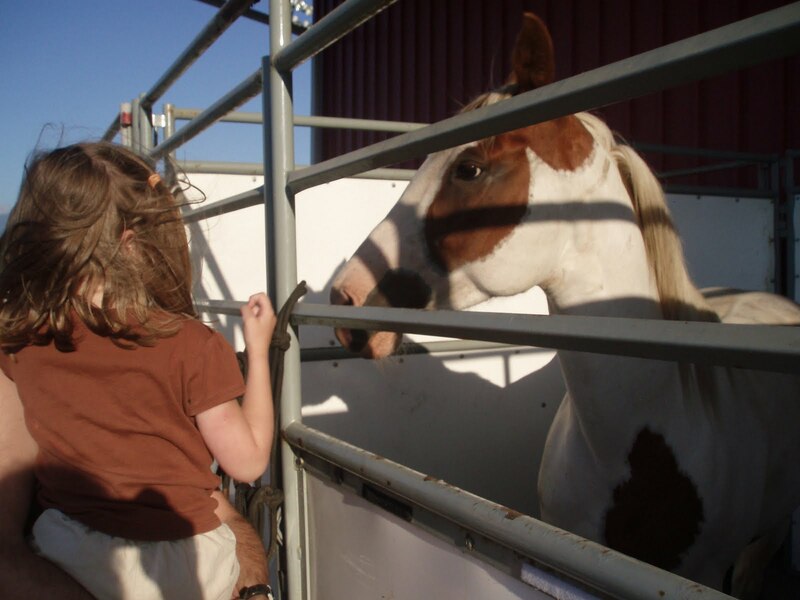 Meagan LOVED the animals - didn't matter what kind, she was enthralled with them all. We also chose to go on Friday so Kaitlyn could go on some rides since they were only $2/ride. 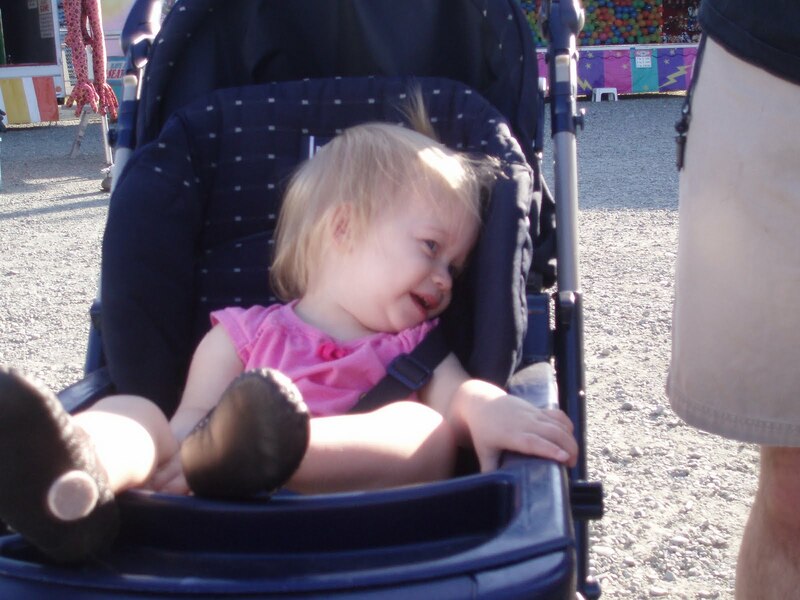 Meagan wasn't too thrilled just being strapped in the stroller while her sister went on 5 rides, but overall did really well. 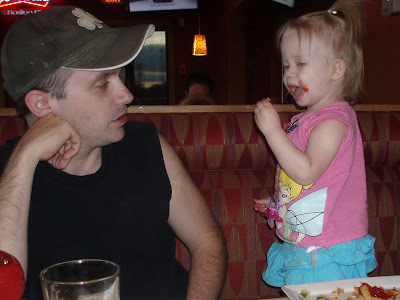 When we were finished, we were all starving so we went out on a rare occasion to Boston Pizza for supper. 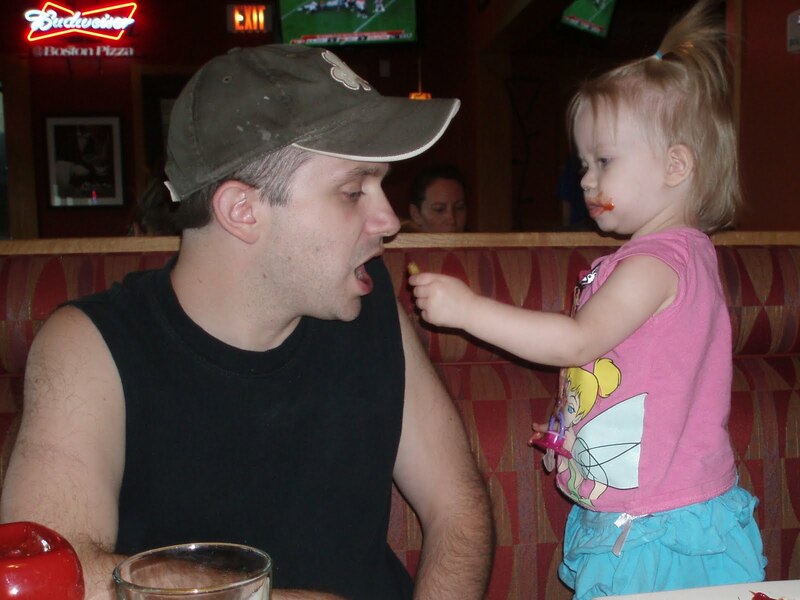 Thankfully we were seated amidst lots of families since Meagan was having a difficult time waiting for her food to arrive. And when it did, she was happy to share with Dad :) It was a great day!